Kalpana Chawla Memorial Award 2017 is organised by Biyani Girls College. 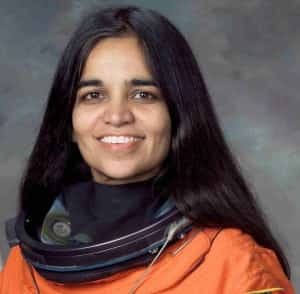 Kalpana Chawla was one of the role models for Biyani Girls College. They instituted Kalpana Chawla Award in her fond memory. It is the 11th Edition of the award. Kalpana Chawla Award motivates and inspires girls to achieve bigger in their life and always be winners in their respective fields. The award is open to all the students and the criteria to win the award is that the girl students should have secure minimum 60% marks and above in 10th standard in the year 2015 & 2016 from any board all over India. The winners would be given the cash prizes in the award function. The Kalpana Chawla Award will be given on 10 June 2017. Kalpana Chawla Memorial Award 2017 Registration Form can be downloaded from the official website. Basic Details: The candidates must write their name, father's name, Class and name of the school attended. Contact Details: The candidates must enter their correspondence address, email Id and mobile number. Academic Details: The candidates must enter the details of their Class 10 Board. The registration form has to be filled and attested photocopy of Class 10 mark sheets have to be attached. Kalpana Chawla Award Result- The name of the selected candidates will be displayed on www.kalpanachawlaawards.com All the selected candidates will be awarded Cash Prize in a function that will be held on 10 June 2017, after the announcement of the result at (Biyani Group of Colleges "Utsav" Auditorium) Jaipur. The result of that committee will be final.